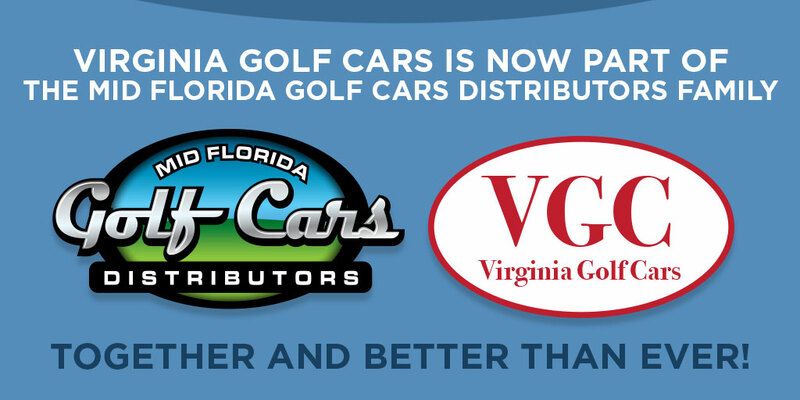 Virginia Golf Cars, a 23-year-old family-owned golf car dealership in Harrisonburg, Virginia, has merged with a Florida-based dealership. The sale to Mid Florida Golf Cars closed on Dec. 5 and created a combined company with the country’s largest rental fleet. The sale is a merger of talent and assets that allows Mid Florida Golf Cars to expand its footprint along the East Coast. By consolidating two fleets, the company’s Harrisonburg branch will bolster its inventory of rental golf cars during the busy summer months. Vehicles from Florida can be repositioned for northern events from April through September, which is typically the “off season” for events in the Sunshine State. Then from October through March, Harrisonburg-based golf cars will be relocated south so the Florida branches can serve even more customers. Cannon said Chad Dunham, vice president of Virginia Golf Cars, will join the Mid Florida Golf Cars executive team and continue to manage operations in Harrisonburg. Chad and his parents, Ron and Jeanie, founded Virginia Golf Cars in 1994. Mid Florida Golf Cars got its start in 1988 when Darron and Bobby Sanders bought 10 used cars from a buddy. They sold those first 10 vehicles in a week, and then bought 10 more. It didn’t take long for the Sanders brothers to realize they were onto something good. They struck a deal with the regional manager for a major golf car manufacturer; rented some warehouse space – and they were in business. After nearly 30 years of growth at retail locations throughout Florida, the company is expanding outside the state as part of Cannon’s business strategy, which centers on efficiencies and economies of scale. The founders say Cannon’s plan is the ideal solution for challenges faced by both organizations in what is historically a seasonal business. But even though large-scale growth is impressive to the outside world, the Sanders brothers are most proud of the fact that their reputation is second to none. About Mid Florida Golf Cars: Mid Florida Golf Cars (MFGC) is one of the oldest and largest golf car dealers and rental fleet providers in the United States. 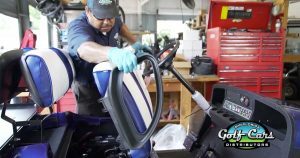 Family-owned since 1988, the company is based in Orlando, Florida, and has branches in Tampa, Jacksonville, and DeLand, Florida, and a branch in Harrisonburg, Virginia, which operates as Virginia Golf Cars. MFGC provides golf car sales and rentals to individuals, Fortune 100 companies, and all types of customers in between. It is an authorized dealer for EZ-GO, Club Car, Yamaha, Cushman, and Carryall. How will the bride get from Point A to Point B without damaging her dress or breaking a sweat? There’s a good chance A and B could go viral on YouTube and help you get a guest spot on late-night TV. But D is the way to go. Besides, Nana might cut you out of the will if you make her walk all that way on a hot day. So be sure to give her a ride, too. Whether you need a few golf carts for transporting guests and supplies at a wedding or hundreds of carts for a major event, Mid Florida Golf Cars can meet your needs. We have more than 1,700 vehicles in our Special Events and Rental department, which gives us one of the largest golf car fleets in the country. Options include four-, six-, and eight-passenger carts, as well as utility/cargo carts. There is no event too small or too large for us. We have deployed over a thousand golf carts at a single event. With our fully staffed mobile command unit, distribution management system, and on-site repair center, we maximize uptime to ensure the ultimate event experience for your attendees and staff. Our event specialists have experience in all facets of rental planning. They can help you select the right type of golf cart, the correct quantity, how long you need the carts on site, and whether or not you need our staffing services. 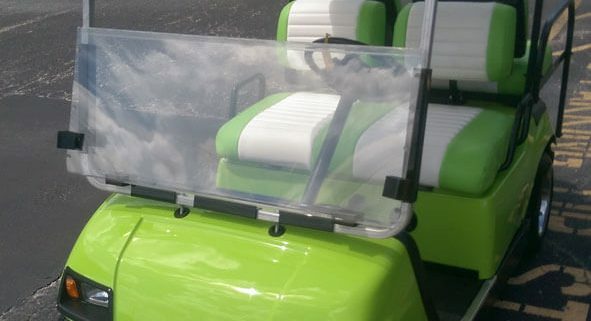 Not only do we provide golf cars for small and large events, but Mid Florida Golf Cars even rents to individuals. If you would like to rent a golf car for Halloween, for a community event, or just to drive around the neighborhood while enjoying a long holiday weekend, then we have a solution for you. For more information, please fill out the form below or contact us at (888) 629-5989. And then your next call should be to Nana. She would love to hear from you! At one time or another, you’ve probably had that dreaded experience when your car won’t start. The good news is that you usually have the option of calling for roadside assistance. And when the family SUV is dead in the driveway and you need to get somewhere in a hurry, you can call a friend, lean on a neighbor, or launch the Uber app on your phone. Our service technicians come to you in a self-contained repair truck. They even carry spare parts for all major golf car brands. We perform on-site repairs for both business and residential customers. This option is available whether you have a single golf car or an entire fleet. We reduce downtime by bringing full-service golf cart repair to your location. That’s a problem for commercial customers because downtime can mean lost revenue. When on-site service isn’t the best solution, we can transport your golf car to one of our repair facilities. Our technicians in Orlando, Jacksonville, and Tampa know the ins and outs of all major golf car brands. They are experts in servicing cars from E-Z-GO, Cushman, Club Car, and Yamaha. We provide a detailed written estimate before proceeding with any work. No surprises or unexpected charges here. Once we have your approval, our techs complete the repair, and we deliver the golf car back to you. Whether you need us to breathe life back into your golf car, or it’s due for regular maintenance, we have you covered. Click here to request service. One of our technicians will contact you to schedule an appointment.